Whether you're looking for classes for your kid or teenager, or adult ballet classes, we have listed a vast array of ballet classes in NY that you are almost guaranteed to enjoy! Take any of these NY ballet classes, and become a master ballerina in no time! A Popular Training Ground for Many Famous Dancers! The official training academy of the New York City Ballet, The School of American Ballet (SAB) at Lincoln Center was established by legendary choreographer George Balanchine and philanthropist Lincoln Kirstein. SAB has trained more students who have gone on to become professional dancers than any other school. The alumni roster includes such greats as Suzanne Farrell, Arthur Mitchell, Maria Tallchief, Darci Kistler, Chita Rivera, and Hinton Battle. Many SAB students have been given unique opportunities to gain professional experience through the school's affiliation with the New York City Ballet. Younger students were featured in such ballets as The Nutcracker, A Midsummer's Night's Dream, and Coppelia. It will not really matter if you dance ballet as a hobby or you will continue to persevere to have a career out of it. The fact remains that it is really hard to learn how to dance ballet. Simply learning the basics will even take years to finally be able to master them and be able to move on to the next level. 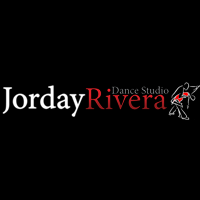 So if you want to know how to work hard and persevere, enroll at Jorday Rivera's Dance Studio in NY now. The Joffrey Ballet School helps in transforming the passionate dance students into an individualistic and versatile artist in order to be able to collaborate and evolve in today’s fast changing society. 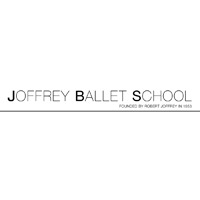 The Joffrey Ballet School was founded by Robert Joffrey and Gerald Arpino in the year 1953 in order to help the passionate dancers cultivate their craft. This ballet school in NY will allow you to have the ability to perfect techniques and form so that it will flow naturally within you! For more information, visit their website now. Why You Need To Learn Ballet At the Ballet Academy East? Learning ballet dancing will help you become flexible not just in body but also in mind. Ballet dancers need to be flexible in the body but also in the mind in order to perform each performance. It is because there are a lot of structures and rules that go on while performing ballet. That is the reason why it is beautiful to watch. And all of these structures and rules can be obtained and learned from the Ballet Academy East. 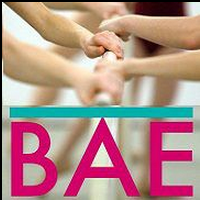 So check out the website of the Ballet Academy East in NY and enroll now. Gracefulness is a characteristic which is really not present to all human beings. If you think you are not graceful then studying ballet will greatly help you develop gracefulness. If you admire the poise and grace of ballet dancers, you can have them too with the help of the Peridance Capezio Center! With the guiding hand of the Peridance Capezio Center in NY you will be able to develop seemingly effortless beauty movements and charm. Although ballet dancing is not a sport, studying ballet has a lot of the same physical benefits that you would be able to gain from your participation in any sport. The ballerinas are spending a lot of hours carefully positioning their bodies into the poses and then holding those poses for a long time as well. This really helps the body gain flexibility and strength. Coordination comes into the scene not only from practicing and coordinating various parts of the body, also in coordinating movements with the music. 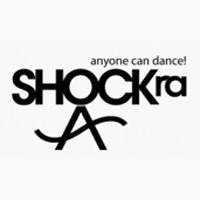 That is the reason why you should enroll at the Shockra Dance Studio in NY! Enrolling your kids at The Ailey Extension will help them be more sociable and gain a lot of friends. Well, rarely is ballet studied privately right so there’s a high chance you will help your kids gain friends with the same interest. Usually the classes are being held for groups so that the children bond with each other as well, because of the time they have spent together in studio and in locker room. 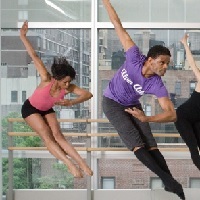 So help your kids make friends, enroll them now at The Ailey Extension in NY! Ballet dancers of all people have a great understanding of the importance of good preparation. So if you want to learn to prepare yourself for everything why not try some ballet classes from the Mark Morris Dance Group? Being a ballet dancer, you know that how you set up a pirouette is vital for the final execution of the movements. The most complex dance routines like the pirouettes, turns and a lot of jumps just simply cannot be executed if you do not have the right preparation. 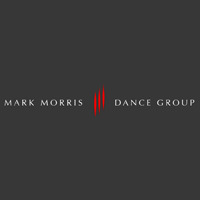 So enroll now at the Mark Morris Dance Group! Brooklyn Ballet School is a ballet conservatory and a community dance center. The Brooklyn Ballet aims to provide all Brooklyn’s talented youth access to quality ballet training. They also aim to offer open-level dance classes to all the students of all ages regardless of their backgrounds. They are located in Downtown Brooklyn. Their studio is a new state of the art facility which includes a column free dance studio. Visit them and inquire about classes. While learning the basics for the ballet lessons you take at the Dance Wave, you will also be able to develop better posture. It is one of the first things you will be able to learn in a ballet class, to stand up straight and firmly. You will be able to do it while you also stand gracefully! Where else would you be able to learn better posture if not in a ballet class? So head now to the Dance Wave and enroll! The teacher at the Brooklyn Dance Project believes that teaching the proper ballet dance techniques from the beginning will help dancers whether it is their dream to become a professional dancer or just want to have fun dancing. The teacher at the Brooklyn Dance Project in NY, Karine, also believes that correcting the students will help them accept the criticisms they will earn in the future. 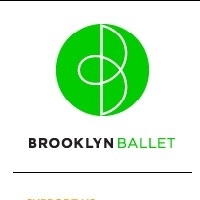 So help yourself, enroll now at the Brooklyn Dance Project!